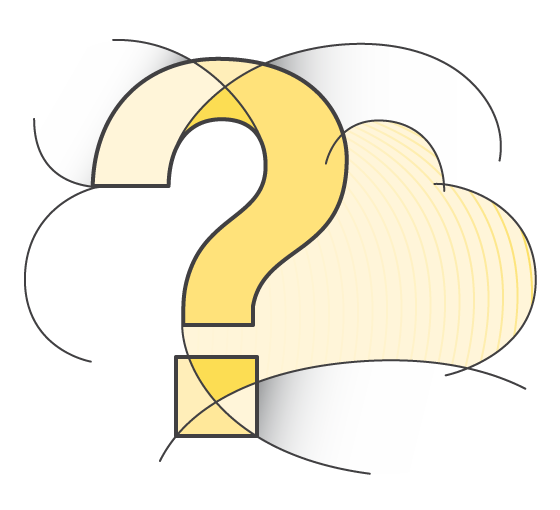 See the following for answers to frequently asked questions about SAP solutions on the Amazon Web Services (AWS) Cloud. If you have a question that isn't covered here, please contact us. How does AWS for SAP work? For a general overview of how to use SAP solutions on AWS, see Getting Started. What types of services does AWS offer for SAP? AWS manages the physical infrastructure up to the virtualization layer. The operating system and any SAP appplications and databases running above the virtualization layer are managed by the customer. If a managed service is required, AWS has a network of partners that offer SAP consulting and managed services on AWS. To find an AWS SAP partner, see Find an SAP Partner. Does AWS offer SAP managed or hosting services? No. AWS is an SAP-certified Global Technology Partner and focuses on providing a highly reliable, scalable, low-cost infrastructure platform in the cloud. AWS does not offer services specific to SAP but does have a network of partners that can provide SAP consulting and managed services on AWS. To learn about the types of services offered and to find an AWS SAP partner, see Find an SAP Partner. How can I find a partner that offers SAP solutions and services on AWS? Visit the Find an SAP Partner page. How can I try or test SAP on AWS? Various SAP test drives, trials and developer images are available on AWS. For more information, see SAP Test Drive, Trial, and Developer Systems for AWS. Which SAP use cases can AWS be used for? SAP customers and partners are using AWS for use cases ranging from running a single SAP test system to hosting a complete SAP production environment. To learn more about how SAP customers and partners are using AWS, see Getting Started with SAP on AWS. How does SAP licensing work on AWS? Most SAP solutions on AWS use a Bring Your Own Software and Bring Your Own License (BYOL) model. Some SAP solutions are available on AWS with on-demand, free trial, and free developer licenses. To learn more, see Getting Started with SAP on AWS. Does AWS sell SAP licenses? No, AWS does not sell SAP licenses. There are SAP partners in the AWS Partner Network that resell SAP licenses. To find one, visit Find an AWS SAP partner. Can I use my existing SAP licenses on AWS? Yes, SAP customers can use their existing SAP licenses on AWS. For technical information about SAP licenses on AWS, see SAP Note 1178686 (requires SAP Service Marketplace credentials). How does SAP CPU-based licenses work on AWS? For SAP solutions that use a CPU-based licensing model, the number of Amazon Elastic Compute Cloud (Amazon EC2) virtual cores, not Amazon EC2 vCPUs, should be used to determine the number of CPU licenses required. The number of virtual cores per EC2 instance type can be found on the Virtual Cores by Amazon EC2 and RDS DB Instance Type page. How does operating system licensing work on AWS? Operating system licenses are included in the hourly price of an Amazon Elastic Compute Cloud (Amazon EC2) instance. To learn more, see Amazon EC2 Pricing. How does database licensing for SAP solutions on AWS work? Database licensing for SAP solutions on AWS uses a Bring Your Own License (BYOL) model. Which SAP applications are certified for production deployment on AWS? To find out which SAP solutions are certified to run in production on AWS, see SAP solutions on AWS. For the most up-to-date list of certified applications, see SAP Note 1656099 (requires SAP Service Marketplace credentials). Which Amazon EC2 instances can be used for SAP? The list of Amazon EC2 instance types certified by SAP for production use can be found in SAP note 1656099 (requires SAP Service Marketplace credentials). Which operating systems are available and supported for SAP on AWS? For specific version information, see SAP Note 1656099 (requires SAP Service Marketplace credentials). Which databases are available and supported for SAP on AWS? See SAP Note 1656099 (requires SAP Service Marketplace credentials). How is SAP supported on AWS? See SAP Note 1656250 (requires SAP Service Marketplace credentials). AWS Support provides 24x7 one-on-one technical support. Customers can choose a tier that meets their requirements. For more information, see http://aws.amazon.com/premiumsupport/. Is AWS Premium Support required to run SAP solutions on AWS? AWS Premium Support is required only when running SAP production systems on AWS. For additional information, see SAP Note 1656250 (requires SAP Service Marketplace credentials). How much does it cost to run SAP HANA on AWS? For monthly price estimates of AWS infrastructure for SAP HANA, see SAP HANA on AWS. How do I install an SAP solution on AWS? See the Getting Started page and the SAP on AWS Implementation and Operations guide. Are any SAP applications available as pre-built images on AWS? Where can I find documentation about SAP on AWS? See the SAP Whitepapers page. How do I access SAP systems running on AWS? How can I integrate systems running on AWS with systems in my data center? How can I migrate or copy an SAP system to AWS? How does SAP sizing work on AWS? What are the best practices for SAP performance-tuning on AWS? How can I back up my SAP system on AWS? See the SAP on AWS Backup and Recovery Guide. What are the different SAP HANA offerings available on AWS? For additional information, see SAP HANA on AWS. Which Amazon EC2 instance types / memory sizes are supported for SAP HANA on AWS? How much does an SAP HANA system on AWS cost? How do I deploy SAP HANA on AWS? Option 1: Automated - The SAP HANA Quick Start Reference Deployment provides an automated process to deploy all of the required AWS infrastructure components for an SAP HANA system. Option 2: Manual - The SAP HANA Environment Setup on AWS documentation provides step-by-step instructions and guidelines how to provision the required AWS infrastructure components for an SAP HANA system. How can I design highly available SAP HANA production solution on the AWS Cloud? For more details and recommendations see SAP HANA HA and DR Guide. How do I back up my SAP HANA system on AWS? You can use native HANA backup functionality to back up your HANA database to an Amazon EBS volume. Once the HANA backup files are stored in the EBS volume, you can easily snapshot that volume to S3 by using the EBS snapshot feature. Alternatively, you can also use a custom script or one of the many of the third-party products available in AWS Marketplace to copy your HANA backup files from an EBS volume to an S3 bucket on a regular basis. See the SAP HANA Operations Guide for additional details. How do I migrate my existing SAP HANA system to the AWS Cloud?